That’s what I did and now I am driving the car I asked for (and believed I was going to get) a year ago. I had my favorite Italian car on my mind constantly and every time I saw a Maserati, I just smiled knowing I had placed my order! The universe listens to what we ask for. We just have to speak the universe’s language. Just asking is only the first step in the Law of Attraction. Feeling and acting as if you’ve received it is the second, knowing you deserve it and allowing it to come to you is the third. Having doubts about your worthiness produces negative energy. Negative energy produces negative results. If you don’t think you deserve a new Porsche, you won’t get it. 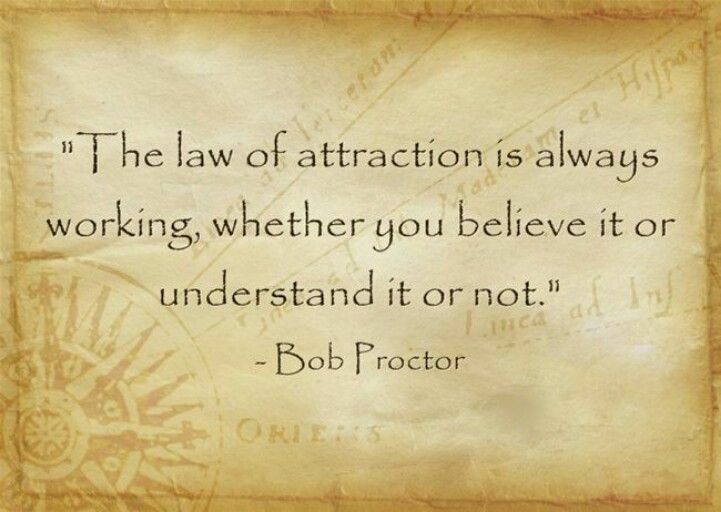 If you don’t think the Law of Attraction works, it won’t work for you. Positive energy is the only way to get positive results. And positive energy is only produced by positive thoughts. There have always been some people, who seem to have everything they want, and some people who can’t seem to get anything they want; so what’s the difference between these two groups of people? It all comes down to attracting prosperity. What you need to understand is that you are always attracting something. If you are poor, then it’s because you have created a state of lack in your life. But if you’re poor, then chances are good that you are not aware of how you have brought that into your life. The good news is that attracting prosperity uses the exact same mechanisms as attracting poverty. “This is why the universe is such an infinitely beautiful place, as the Law of Attraction dictates that whatever can be imagined and held in the mind’s eye is achievable if you take action on a plan to get to where you want to be.” http://www.thelawofattraction.com/what-is-the-law-of-attraction/ is great article on the super powers of true belief in having every thing your little heart desires! It may be uncomfortable, but you need to fully admit that you have caused your current situation; you need to accept it; you need to embrace it. You may have some negative feelings, but these will only be temporary. The point is to convince yourself that you are responsible for where you are right now. Once you accept responsibility for your present circumstances, you can turn it around and start attracting prosperity. The way you do that is by changing your thoughts. “Wait a minute! I’m already thinking about not being in this mess. I’m always focusing on getting out of this hole, and I want to have a better life.” Sound familiar? If so, then you have identified a simple, but critical flaw in your thinking. You will get what you focus on, but your mind will only focus on the subject and not any conditions you place on it. So, while you are consciously thinking about “not being in this mess” your subconscious ignores the word ‘not’ because it’s conditional. Instead, it focuses on “this mess” and that’s what it attracts. Once you understand how it works, you can start thinking about exactly what you want in place of what you don’t want. So, instead of “getting out of this mess” you start thinking about “living in a beautiful home”. I need you to picture yourself in the home of your dreams. How many bedrooms?, pool? Man cave? hardwood floors? open floor plan? Find pictures of your dream home and post them where you can see every day! Apart from focusing on what you want and being specific, you also need to add strong emotion to your thoughts. If you have ever found yourself doing something emotional, even though your mind was telling you to stop, then you understand how powerful emotions can be. The trick to attracting prosperity is to put the power of those emotions to work for you. You can have the things you want. Attracting prosperity is a simple matter of following the right steps to make it happen. It takes practice, but it will be more than worth it once you have the things you want. I hoped you enjoyed this blog and will use the mechanisms contained here to enrich your life, as I inspire abundant living through happiness and life fulfillment. I know it works. I really do. Just work it! Budget Beaches – Summer Vacation Local Jewels!